Remember the Daffodil Society and Sue Kerivan? I just wanted to let you know that when Sue Kerivan is able to share about the Daffodil Society, we will be posting it here on our blog, verbatim, word for word, so she can express her side of the story. Heather was diagnosed with Endometriosis when she was 24 years old. Now 37, she lives in Florida and has started “Heather’s Hope Endo Strong”, and is also a model advocating for chronic illness. 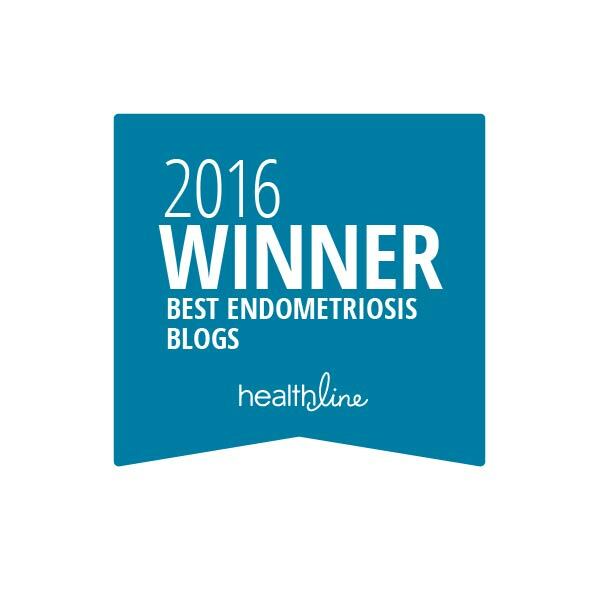 Heather’s Journey: I‘ve suffered with Endometriosis over half of my life. I’ve had 4 surgeries and all were unsuccessful. I did 2 Lupron injections a few years ago for the Endometriosis in my bowels. After the Lupron treatments my stomach completely stopped emptying and I now have a gastric pacemaker. I’m 1 in 4,000 people in the United States with a gastric pacemaker. I’m infertile and don’t have any children. After being in an abusive marriage of over 11 years I also suffer with PTSD severe anxiety. It’s been a rough road to travel but I have my supportive husband and Endometriosis Sisters to help brighten my day. I’m having my 5th surgery this year. I’m also part of Models With A Cause representing women with chronic illnesses. Words of Advice for Us: Remember your not alone! Please seek an Endometriosis Specialist and stick to the Endometriosis diet. It’s very important to keep the diet and stay away from Soy, Dairy, Caffeine & Alcohol. The Last Word: I started Heather’s Hope Endo Strong by myself last February. I do post on chronic illnesses and mental illnesses. 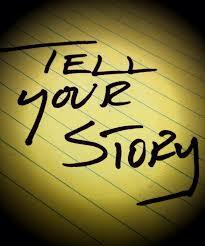 Being an advocate has helped me meet other Endometriosis sisters and help raise awareness all over the world. If you wish to contact Heather, you may email her here or check out Heather’s Hope Endo Strong here. I want to send a special Thank You out to Heather for being brave enough to share her personal story, struggle, and victories with us today. I am so grateful that you stepped away from that abusive relationship, have found a loving husband, and continue to share your experiences and help others!! You are a beautiful, brave, and strong woman. Thank you!!! Whew. The end of the week! FINALLY! Take the time to honor yourself – whether that be a day of rest, a special sweet snack, an hour of quiet time, a drive to your favorite place – whatever it may be that you’ve neglected for so long. Take some you time…time for YOU! A HUGE thank you to all of you who purchased a Bloomin’ Uterus t-shirt! We sold 13 shirts and raised $76.67 for the Endometriosis Foundation of America!! Woohoo! I received my confirmation email this morning that Teespring has already sent the $76.67 to the EFA! I cannot thank you enough for your support! Together, we are doing great things and hopefully one day a cure will be found. In the meantime, remain strong and positive! One day there will be a cure. In the meantime, remain positive, hold onto hope, lift each other up, and continue to live your life as best as you are able. Patricia was only 16 years old when she was diagnosed with Endometriosis. Now 42, she lives in Montreal, and tells her tale now. It includes a progressively worsening diagnosis, a full hysterectomy, ongoing medical treatment, and 32 surgeries! Despite her medical efforts and treatment, she continues to suffer with the illness. Patricia’s Journey: I was diagnosed with endometriosis at the age of 16. It wasn’t too bad at that point, but between the age of 16 to 21 it went to stage 4. So it was decided at the age of 21 to have a full hysterectomy, thinking it would be a cure. I also had tried all the medications that were available at the time to treat it. Nothing worked not even the full hysterectomy. From the age of 21 until now I’ve had 32 surgeries. Nothing would stop the endometriosis and at the age of 42 I now have it on my bladder and cysts around my pelvis. I never imagined this would be a life long fight against a disease I have no control over. When I had my hysterectomy at 21 it was soul shattering, I thought I won’t be a real woman anymore. Like Pinocchio wasn’t a real boy, I was no longer a real woman. It also affects every part of my life, my relationships, my dreams, everything I wanted my life to be. It took a while for me to accept my fate but eventually I had no choice. Till this day I fight chronic pain and this crazy disease called endometriosis. I will never stop fighting for myself and my fellow endometriosis sisters. We also fight for the next generation of women who may have endometriosis, we fight for them too. We are 176 million women affected by endometriosis worldwide. We deserve a voice and a cure . The Last Word: I wish the medical community would take endometriosis more seriously. When we come to you for help, don’t belittle how serious our pain is. We live in chronic pain that most cannot even begin to comprehend. We don’t want pity, we just want understanding, more awareness and a cure. If you wish to contact Patricia, you can email her here. I want to send a special Thank You out to Patricia for being brave enough to share her journey with us today. And those strong words of encouragement!! THANK YOU! Wishing you luck in your future procedures and, as always, wish you relief. ❤ Yours, Lisa. Living in Barbados, Katrina was 29 when she was diagnosed with Endometriosis. Today she’s 34 years old and shares her Journey with us. She truly is a Warrior! Katrina’s Journey: Life started out normal like any teenager but it soon came to an abrupt hault when I started to mature a bit more then the pains associated with my period was terrifying on the onset of my menstruation. As I grew older the pain got worse at age I was hospitalized for a low blood count due to the amount of blood I had lost in that one cycle it was terrifying. In 2012 and I remember it like yesterday cause that where it was at its peak the pain was unimaginable having being hospitalized twice for a rupture ovarian cyst treated and sent home not knowing I would return two months after the last discharge. On my outpatient visit I was in crippling pain to the point where I couldn’t walk there and the doctor at the time who was my physician, Dr. Chatranni, decided that a laparoscopy was needed because of the severity of the agony that I was in . When I came back from surgery the next day they came to my bedside to break the news of the finding my world change for the worse because I was discovered with the condition endometriosis that has no cure. I cried I couldn’t cope because it was the first time I heard of it which took me 20yrs to find out what was causing so much havoc in this body of mine. In 2013 I had a DNC to see if that would stop the bleeding as I was losing so much blood and also became anemic that didn’t work. In 2014 under the team of Dr. Chase and Dr. Bayo I had a surgery done that brought me some comfort, but it didn’t make sense removing my reproductive organs as the Endo had has spread to various parts of the body. I live daily with pain but I also learn to fight when I want to give up most ’cause most people don’t understand how I do it most days especially the ones close to me ’cause friends on the outside looking in only see a smile but behind closed doors are the cries and the grimacing the hospitalizations, but most of all the long for a cure so you can be comfortable. In 2016 after meeting so many women with the condition during hospitalizations and the passion to get the public in the know I created the Katrina Endometriosis fund association of Barbados registered charity #1281. It became the focus on teenager and women with this dreadful condition and since then we have done a great job getting them in the know ’cause even though we have a small country, many people are not aware of the condition. So my passion is to bring about sensitization to Endometriosis and being the ambassador for Barbados is a privilege because I can speak out for the women who are afraid to speak about the journey with endometriosis because of the stigma associated with endometriosis. The infinite fight is far from over in my ongoing journey with endometriosis, but giving up is not an option #iamanendolioness. Words of Advice: Endometriosis is our weakness, but let our weakness become our strength . 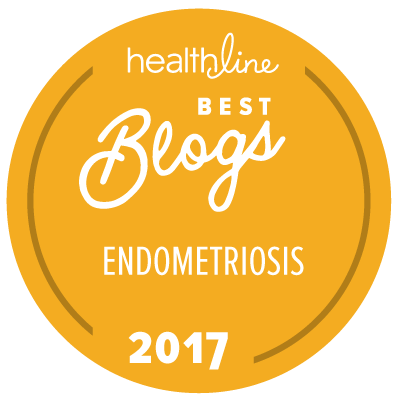 The Last Word: Having the endometriosis foundation give me something to look forward and that’s to fight for our Endo community and get our voices heard . If you wish to contact Katrina, you can email her here. And if you’d like to check out the Katrina Endometriosis Fund Association, their Facebook page is here. I want to send a special Thank You out to Katrina for being brave enough to share her journey with us today. And congratulations are starting up the Katrina Endometriosis Fund Association and spreading awareness! Thank you for ALL of your efforts! Yours, Lisa.